It is of vital importance that every car owner in India while purchasing a car, also shops for a suitable insurance policy to insure their vehicle. As a car owner, you need to have a third-party insurance at least. The Indian government has made it mandatory for every car owner to insure their car. They have incorporated this rule via the Motor Vehicles Act which needs to be religiously followed in India. Disobeying the law will result in heavy fines and/or other legal actions. No Claim Bonus (NCB) is a discount offered by the insurer to the policyholder for every claim-free year during the policy period. Accumulating NCB provides the policyholder with the opportunity to buy/renew a car insurance for lesser premiums unless they raise a claim or the base policy expires. For the first claim-free year, the policyholder is eligible for a premium discount of 20%, for two continuous claim-free years, he/she eligible for 25% and so on. NCB Protect is a smart way to ensure that your hard earned bonuses stay protected even if you raise a claim. This protection is usually provided to you as a rider option for the base insurance policy. Among all the rider options available, this is one of the options people favour the most due to the fact that opting for NCB cover ensures low premiums for more than a year depending on the number of NCBs accumulated. So, from the second year onwards, you are eligible for low premiums. This way the policyholder saves money on the insurance premiums. NCB cover costs about 5% - 10% of your base policy and although the NCB cover may be a little costly, the accumulated NCB will give you the added advantage of saving a good sum of money. In case you want to renew/transfer your policy to another insurer, you can easily transfer the accumulated NCB due to the NCB Protect cover. Even when you sell your car, you can transfer your car insurance policy from your name to the buyer’s name without giving away your NCB. You can keep your NCB till you buy a new insurance and then add it to the new base policy for continued premium discounts. To do this, you need to provide an NCB retention letter. Once you raise a claim, the accumulated NCB will be used for claim settlement unless you avail an NCB Protect that retains your NCBs in spite of a claim. You lose your accumulated NCB when you don’t renew your expired policy within 90 days from the date of expiry. If the car insurance policy is cancelled before the policy period ends, you can’t earn any NCB. The No Claim Bonus Protection add-on cover has to be purchased by the policyholder over and above the cost of the base policy. That said, only if the policyholder has a comprehensive car insurance policy can he/she buy the No Claim Bonus Protection Cover. The No Claim Bonus Protection Cover cannot be purchased independently without the car owner having already purchased a base comprehensive car insurance policy. The premium of the No Claim Bonus Protection Cover is roughly between 5% and 10% of the cost of the premium of the car insurance base policy - depending on the insurer. However, despite the fact that the No Claim Bonus Protection Cover is a little expensive, if the policyholder has 3 claim-free years, he/she will be eligible for a premium discount up to 35% of the premium cost of the car insurance policy. With the No Claim Bonus Protection Cover, even if the policyholder makes up to 1-2 claims (depending on the terms and conditions of the policy), then the NCB will not be affected, and he/she will still be eligible for the premium discount of the car insurance policy. While the No Claim Bonus Protection Cover is beneficial as mentioned above, all car owners that wish to protect their driving history and be eligible for premium discounts should opt for the No Claim Bonus Protection Cover. Even if the policyholder makes up to 1-2 claims a year, the No Claim Bonus privilege is protected. For expensive cars especially, car owners should ensure that they have the No Claim Bonus Protection Cover to get premium discounts on their car insurance policy. If the policyholder has had a claim-free year, he/she is eligible for the No Claim Bonus premium discount on the car insurance policy. If the car owner or policyholder is selling his/her car or purchasing a new car, the No Claim Bonus can be transferred to a fresh car insurance policy. The transfer of the No Claim Bonus can be done even if the policyholder is migrating his/her policy to another car insurer as well. However, in the case of selling one’s car, the No Claim Bonus cannot be transferred to the buyer of the car. Only the policyholder who has had a claim-free year is entitled to the No Claim Bonus premium discount. If the policyholder makes a claim during the policy term, then the privilege of the No Claim Bonus will be withdrawn by the insurer or will be terminated. For raising a claim to cover damages caused to the car following an accident or a mishap, or for coverage of medical emergencies, the No Claim Bonus will be terminated, unless the policyholder has the No Claim Bonus Protection Cover. In addition, if the policyholder fails to renew his/her car insurance within 90 days or 3 months from the date of expiry of the car insurance policy, then here too, the No Claim Bonus will be terminated by the insurer. If the policyholder allows the policy to lapse, irrespective of the accumulation of claim-free years and eligibility for premium discounts of the car insurance policy, the No Claim Bonus will be withdrawn by the car insurer. Lastly, if the policyholder fails to transfer the No Claim Bonus to another insurer or to a fresh car insurance policy within a certain period, then the No Claim Bonus will be withdrawn by the car insurer. The No Claim Bonus can be purchased either when the policyholder is buying a fresh car insurance policy or is renewing the existing car insurance policy. The No Claim Bonus, which has to be purchased over and above the premium cost of the car insurance policy, is roughly 5%-10% the cost of the premium of the car insurance premium. If the policyholder has earned the No Claim Bonus within a claim-free year, the privilege to claim a premium discount is valid for a span of 2 years. This is if the policyholder does not drive his/her car for the two years, or doesn’t own a car insurance policy. Following the 2-year span to claim the No Claim Bonus, the privilege of the No Claim Bonus will be withdrawn by the insurer. Whether to retain the No Claim Bonus of the policyholder following a claim is left up to the insurer. Following an accident, and when the policyholder raises a claim, if the accident and damage caused to the car were not the fault of the policyholder, then the insurer will try to get the money from the third party to cover the expenses. If the insurer does manage to get the coverage from the other party to cover expenses, then the No Claim Bonus will not be affected and the policyholder is still eligible for a premium discount during the following policy term. However, if the accident was not the fault of the policyholder, and the insurer does not manage to get the other party involved to cover the damages caused to the car or coverage for medical expenses, then the insurer will have to cover the cost of damages and medical expenses, and in this case, the No Claim Bonus of the policyholder will be withdrawn. In the case of the car being stolen as well, if the insurer manages to retrieve the compensation for the lost or stolen vehicle from the other party that is involved, then the No Claim Bonus will not be affected. However, if the insurer has to make the payout for compensation of the stolen car, then whether it is the fault of the policyholder or not, the No Claim Bonus will be terminated. Commercial companies purchase the No Claim Bonus in the name of the driver of the commercial vehicle or its employee, but the privilege for a premium discount of the car insurance policy is limited to the company only. If the driver wishes to used the No Claim Bonus on his/her private car insurance in the long run, then the insurer in such a case will deny the request for a premium discount that comes with the No Claim Bonus feature. As already mentioned, if the policyholder wishes to transfer his/her car insurance policy to another insurer, to get a better premium rate and services with regard to the car insurance policy, then the No Claim Bonus can be transferred as well. The transfer of the No Claim Bonus will push the insurer to offer the best possible car insurance premium rate. However, the insurer will do a background check with the previous insurer to see if the policyholder has actually earned the No Claim Bonus with claim-free years before setting the best possible premium rate for the car insurance policy. Is the No Claim Bonus for the vehicle or for the policyholder? The No Claim Bonus is linked to the policyholder and his/her driving history and accumulation of claim-free years and not the vehicle. For example, if the policyholder chooses to sell his/her car, then the No Claim Bonus cannot be transferred to the new owner of the vehicle. The policyholder has the choice in this case to transfer the No Claim Bonus to a fresh car insurance policy. 1. Is the No Claim Bonus offered by all insurers selling car insurance policies in India? Yes, all motor insurers offering car insurance policy offer their customers with the No Claim Bonus. The No Claim Bonus reduces the chances of policyholders making small and unnecessary claims as they could risk not earning the premium discount for the following premium term. It also validates whether the policyholder is responsible on the road or not. 2. Is the No Claim Bonus withdrawn in the case of every claim? Not necessarily. If the accident was not the fault of the policyholder and the insurer manages to recover the coverage or losses from the other party, then the No Claim Bonus will not be affected and the policyholder will be eligible for a premium discount the following car insurance policy term. However, whether or not the policyholder was at fault or not and has met with an accident and the insurer fails to recover the coverage or losses from the other party, then the insurer will have to meet the cost of the damages caused to the car and medical expenses if any, and this will affect the No Claim Bonus of the policyholder. The same applies if the car is stolen. If the insurer manages to retrieve the compensation for the vehicle from the other party, then the No Claim Bonus will not be affected, if not, the No Claim Bonus will be withdrawn. 3. Is it possible to use my No Claim Bonus on two different cars, or multiple cars? No, the No Claim Bonus is applicable to just one car insurance policy and one car. The policyholder cannot use the No Claim Bonus feature for multiple cars or insurance policies. It can be transferred from one policy to another only. 4. What’s the procedure of retaining my No Claim Bonus if I’m selling my car? If you’re selling your car and have had the No Claim Bonus or claim-free years, then this privilege cannot be passed on to the buyer or new owner of the vehicle. Along with the sale deed, or Form 29, for transfer of ownership, you will have to submit the No Claim Bonus retention certificate to the RTO (Regional Transport Office) where the car is registered. Once the retention certificate of the NCB is attested, you can use it to get premium discounts on your next car insurance policy. However, there’s a time span for the policyholder to retain his/her No Claim Bonus. 5. Is it really necessary to have a No Claim Bonus Protection Cover? Yes, the No Claim Bonus Protection Cover basically shields the No Claim Bonus privilege even if the policyholder has made a claim or two in the policy term. With the No Claim Bonus Protection Cover, the policyholder is eligible for premium discounts in spite of raising a claim. I am holding the car insurance policy with the ICICI LOMBARD GENERAL INSURANCE since from last 5-6 years as it is very good to use. The policy coverage is for basic and they have offered with no claim bonus with this policy. I had no claim experience with this policy. 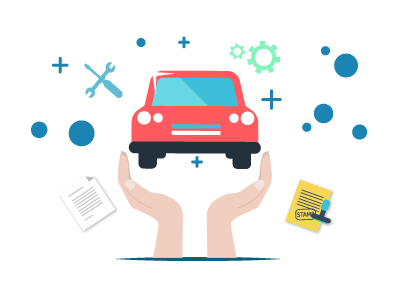 The particular reason for taking the car insurance with the HDFC ERGO GENERAL INSURANCE is because they are offering with the no claim bonus with this policy added on that the premium and the IDV value is satisfactory with this policy. The policy coverage i have no idea. I had a car insurance with Cholamandalam and felt the premium was bit higher compared to New India hence have changed the insurer. I don't have customer service experience and no claim. It is also a first party insurance. It was my first insurance and I did not get any no claim bonus which was offered by the showroom. The policy coverage is good. "Average and need to reduce the premium for old customer"
The premium is high with Bharti Axa when compared to others so have changed my insurer for this year. I have been with them for 4 years but still they did not negotiate the premium and have just done one claim with less amount for that they have cancelled No Claim Bonus which am not happy. The customer service and claim process is okay. It was a comprehensive insurance. The customer service is good and have no claim experience. I was looking for the low premium and HDFC Ergo has fulfilled my requirements and gone for the insurance. The policy period is one year. HDFC Ergo is better when compared to other but still its not completely satisfied. I have chosen zero dep plan and I got no claim bonus. The process was simple and the customer service was fine. I have no claim experience and am not sure about the no claim bonus since its been long time. The policy coverage is average. The premium is okay and its was zero dep plan. I took a car insurance from TATA AIG. I have purchased my car insurance with RELIANCE by last January. IDV is higher and the premium is lower compared to others. They have better no claim bonus value. There is no need to contact the customer service. It is a comprehensive insurance and I have received only soft copy. I found Reliance car policy is costly than other insurance company, In last year they have allocated good insured value for my vehicle but I have not used it hence they gave me no claim bonus during renewal of other insurance policy, it would be great if they reduce the amount. They have approached me for the renewal and the plans are good hence i have chosen the policy with New India. I have paid a premium amount of Rs. 12000 nearly. I have got a coverage amount of Rs. 3.75 lakhs and I'm glad about it. I will be getting a no claim bonus of 15% to 20% and road side assistance. This is a comprehensive insurance policy. "Easy to purchase a policy"
When i checked in the online, the quotation was fine hence i opted for HDFC Ergo for my car insurance. Around Rs. 7000 i have paid as premium amount. Last November i have taken this policy. I got the facilities of Bumper to bumper, road side assistance and no claim bonus. I have received the hard copy after 2 weeks to my residential address. I had gone a reimbursement and they have done it very fast. I have put on my vehicle and i got it back within 3 days. The premium was high thats the only reason for not moved with the same company. It was 4 lakhs which i received as a coverage amount and I'm happy about it. I have received a facilities of bumper to bumper and road side assistance, before that i have got a no claim bonus of 20% to 25%. They were reducing the IDV value like anything. I did not use the policies or any garages till now. Based on the coverage value i have selected the car insurance policy with Iffco Tokio. In the month of March, i have taken the policy. I paid the premium which is nominal. They have provided me a coverage amount which is satisfactory. I have got the facilities of bumper to bumper, road side assistance and no claim bonus however i have not availed anything. Due to the claim ratio and premium i have selected the Bajaj Allianz policy. I have got a features of road side assistance, no claim bonus of 45%. The policy is not covered with Bumper to bumper facility. I received a coverage amount of Rs. 2.5 lakhs and I'm happy about it. I had no issues with the policy. I never claimed anything purposely so far. Actually they have given a low cost compared to other companies hence i have chosen the HDFC Ergo. They have provided the insurance amount of Rs. 11000 approximately and its less of Rs. 3000 compared to other companies. They have offered me a road side assistance and i have got a 30% no claim bonus. The documentation process was smooth and i have submitted the documents whatever they asked me. National is a very good insurance policy to use. Simply i just want to experience the other company policies too hence i have not continue with National Insurance. One of my friend referred me about the national insurance. No claim bonus and bumper to bumper has been covered. I had no experienced of any claim. I have used the policy for only one year. "Need to improve the services"
Through online, i have purchased the car insurance policy with Reliance. When i purchased the policy, the premium amount was cheaper. I made a premium amount of Rs. 10 K and they have given me a coverage amount of Rs. 4 lakhs. They are giving a facilities of road side assistance and no claim bonus. When i apply for the online renewal, the response was poor and since i was unable to renew, i have not continued with the same company. I had been selected the HDFC Ergo for my car insurance because of the lower premium amount. 5 months back, i have purchased this policy. The documentation process is easy and the price is nominal. I have got the bumper to bumper facility, no claim bonus and road side assistance. Anyway i have to see the claim process and available facilities. "They are offering very good pricing. " Basically i just had taken an car insurance with Royal Sundaram and i never made any claim so far. Pricing is the main factor for choosing this company. Since my car is 5 year old, i have not availed the bumper to bumper services. I have bought the no claim bonus and i have taken road side assistance facility however i never used the features. Compared to other companies process if good. I never interacted with the customer care service in New India. Since the service is good and its been to take the policy, i have chosen the new India. The garages are good enough to use in my location. There has been good coverage amount and I'm satisfied about it. I don;t have a bumper to bumper facility but I'm glad about the road side assistance and no claim bonus. "Very Good for car insurance"
Since last time also i had my policy with TATA AIG, if i renewed the policy, i will be getting a no claim bonus of 50% from this policy hence i continued with same company. I made a premium amount of Rs. 15000. The policy was referred the online search. The bumper to bumper facility and road side assitance has been included. Within 5 minutes i have purchased the policy through online.